Here we present a brief but important history of educational coding, which introduces some of the bright minds and stunning innovations that got us to where we are today. For more on coding for kids, treat yourself to our free ebook: Beginning Computer Programming for Kids. 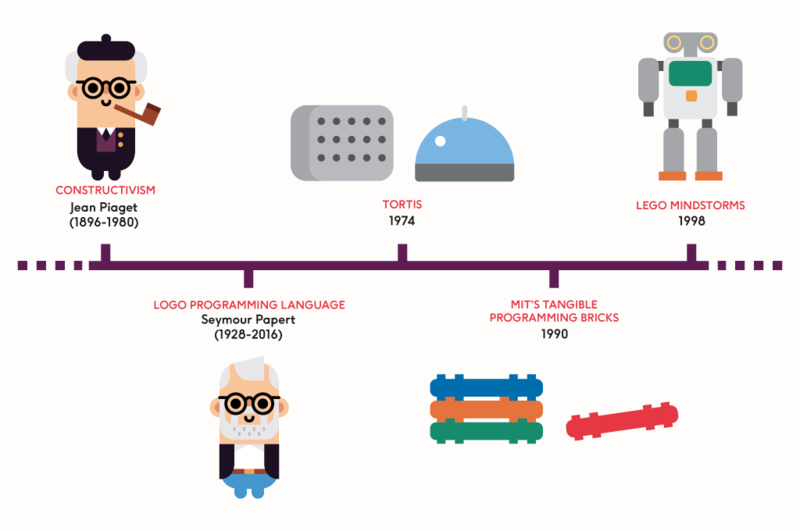 Coding education as we know it today started 60 years ago with a turtle and a four-letter word that sounds like, but definitely isn’t, Lego. First though, let’s rewind a little further to the work of Jean Piaget (1896-1980). A Swiss clinical psychologist regarded today as giant of educational thinking, in the first half of the twentieth century Piaget devised a theory called Constructivism, which looks at how learning happens. Rather than acquiring knowledge, he argued, humans construct it based on past experience and their understanding of the world. Children make sense of their surroundings not as ‘miniature adults’ or as empty vessels, but ‘as active agents interacting with the world and building ever-evolving theories’. 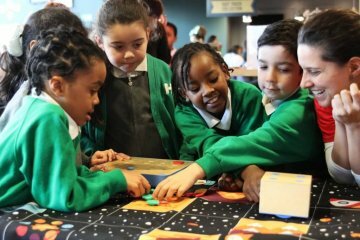 Part of this theory included the idea of ‘discovery thinking’, which asserts that children learn best through doing and exploring. Years later, these ideas found a home, if slightly tweaked, in the work of Piaget’s protege – a brilliant South African computer scientist, mathematician and educator called Seymour Papert (1928-2016). 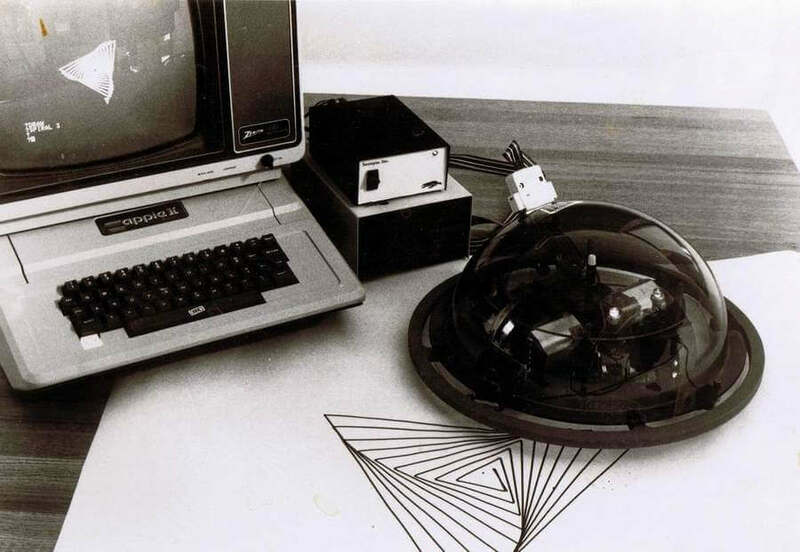 In the 1960s while working at MIT, Papert created an ingenious programming language called Logo. 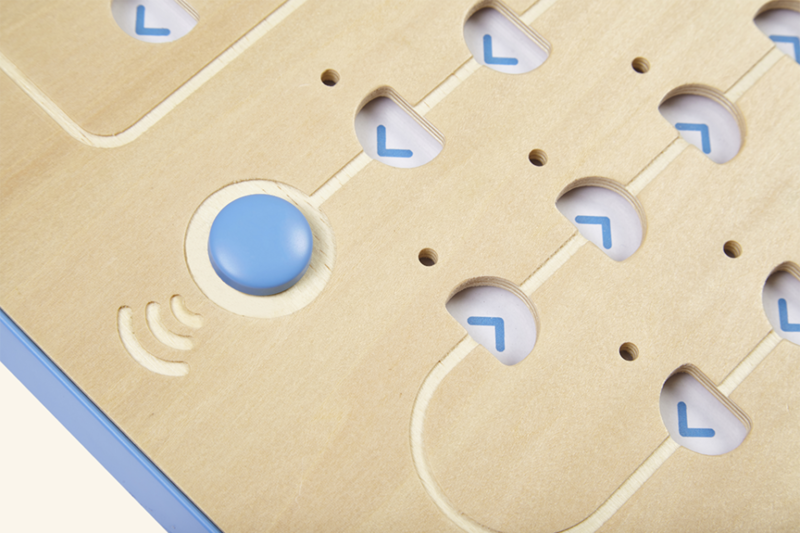 With Logo programming, the child writes on a keyboard commands that produce line graphics, either on screen or in the real world, with a small robot – a ‘floor turtle’ armed with a pen. 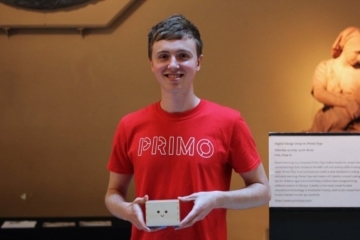 With Logo Turtle, for the first time, kids could play with and learn complex programming by producing a screenless, creative outcome via a physical object (in this case a robot). 1) Children learn by doing. 2) Tangible objects support concrete ways of thinking. 3) Powerful ideas can empower the individual. 4) Self-reflection helps children clarify their own thinking and connection to the environment around them. The key principles behind Piaget’s Constructivism and Papert’s Constructionism were fundamental to further tangible (that is to say ‘hands-on’) coding technologies, which evolved from the 1970s onwards. 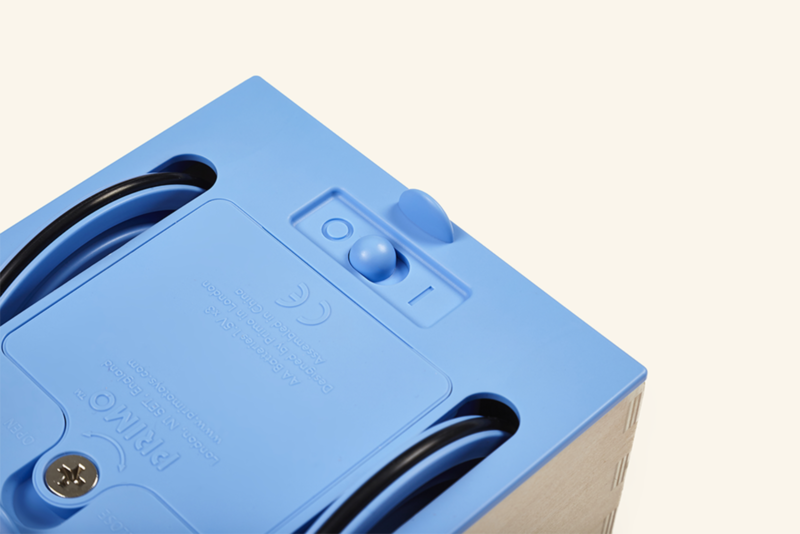 These included Tortis, another floor turtle released in 1974; MIT’s tangible programming bricks launched in the 1990s; and of course Lego Mindstorms – the school kits that let kids build and program robots (the third and most recent generation was launched in 2013). 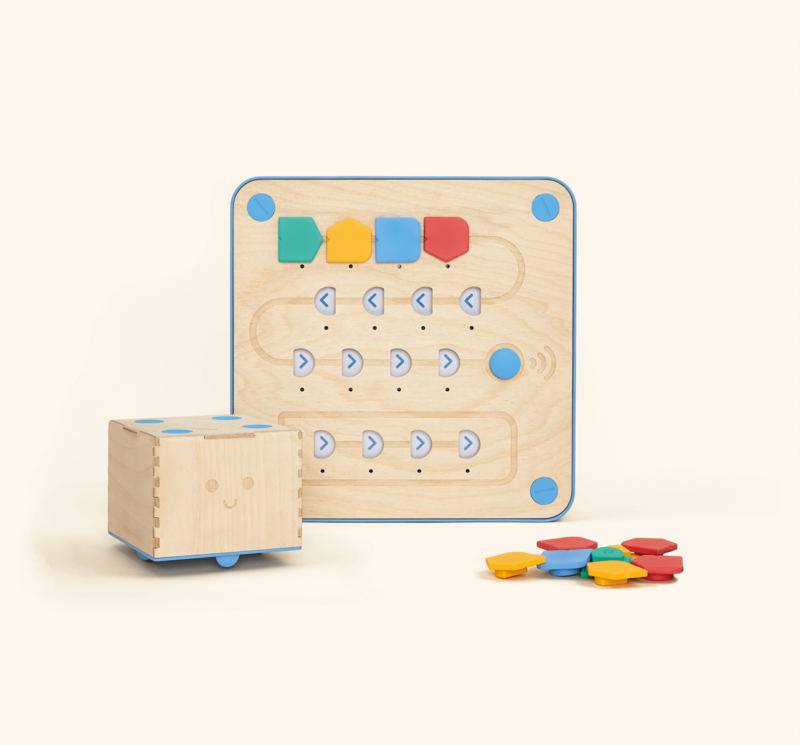 The blocks of our own coding toy, Cubetto, can be considered an extreme simplification of Logo Turtle programming language. We can also see the influence of two other educational greats throughout this period: Friedrich Froebel (1782-1952) and Maria Montessori (1870-1952). 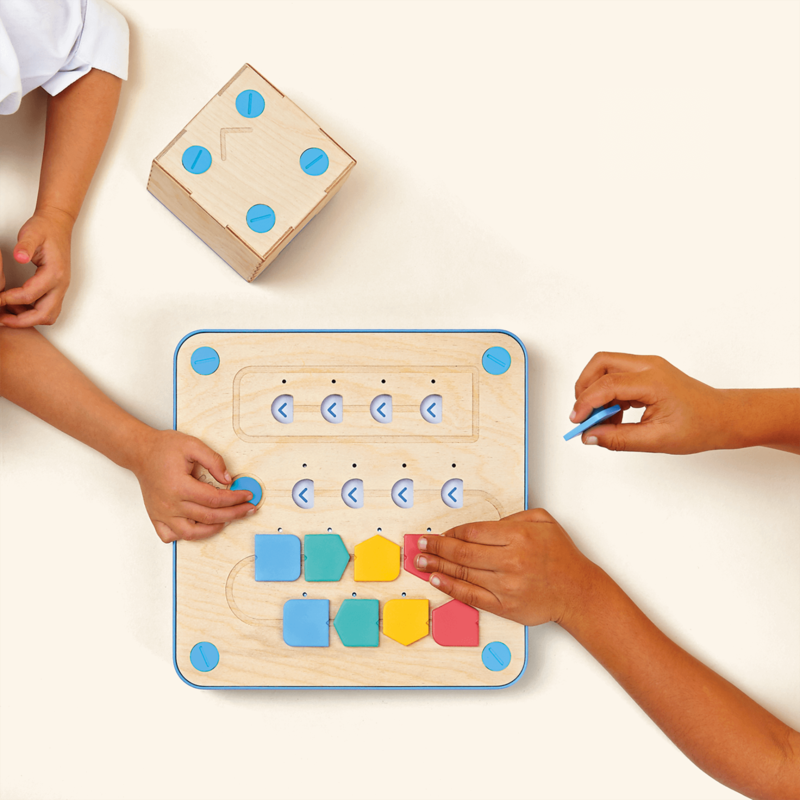 Both these figures and their timeless wooden block-based learning materials promoted hands-on, open-ended play in which the child could learn about the properties of the materials with which they played (colour, size, weight), but also about themselves and the world around them. 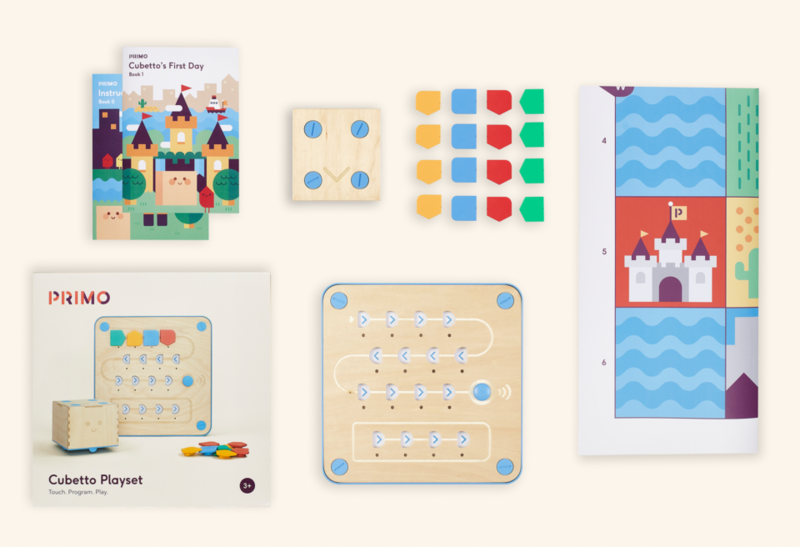 As we’ve already mentioned, there is an ever growing number of toys designed to help get kids coding – ready for a world of robots and AI in which ones and zeros are the way we communicate. 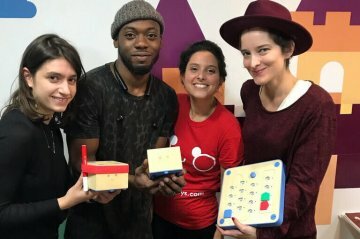 It’s hard to overstate the importance that the work of Papert, Piaget, Froebel and Montessori still has on the most effective ways of teaching children the basics of computer programming.